LED signs have changed the signage & outdoor advertising market substantially. Electronic message centers have given business owners, school districts, church organizations & just about any other type of business the opportunity to tell their stories. 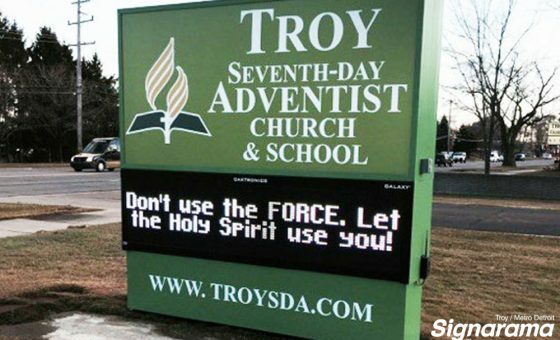 Because LED signs are a computerized sign solution, you can change your message on the fly! 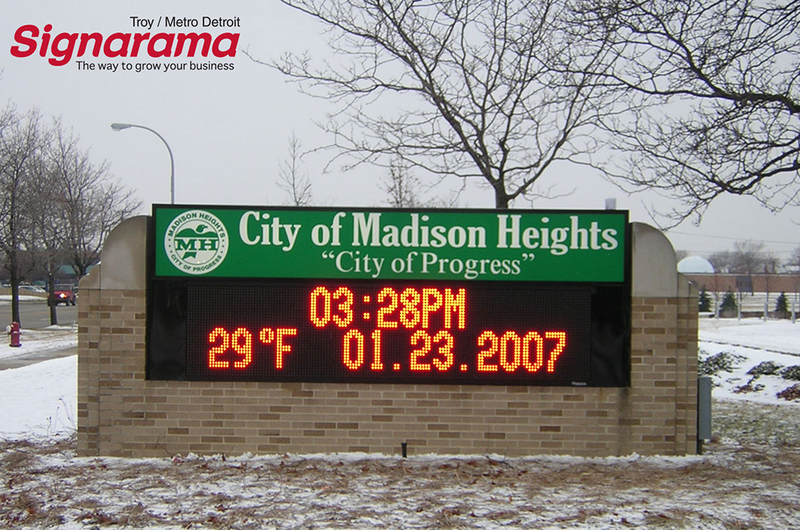 Signarama of Troy / Metro Detroit has installed many different types of LED signs; wall signs, ground signs & many more! 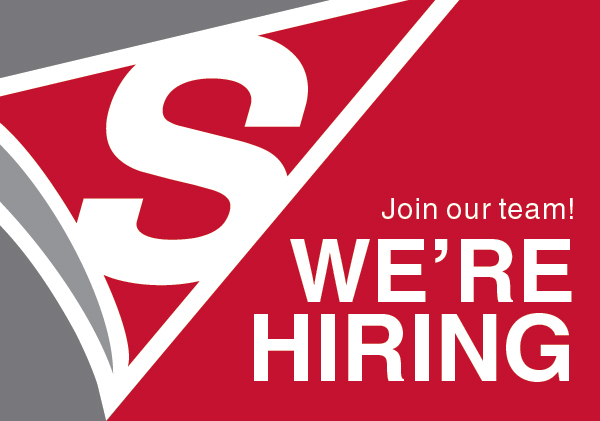 We are proud to have a team of experts that has the level of experience & knowledge for this type of diverse project. It has come in handy when helping our clients decide if they should update or replace their current LED sign! 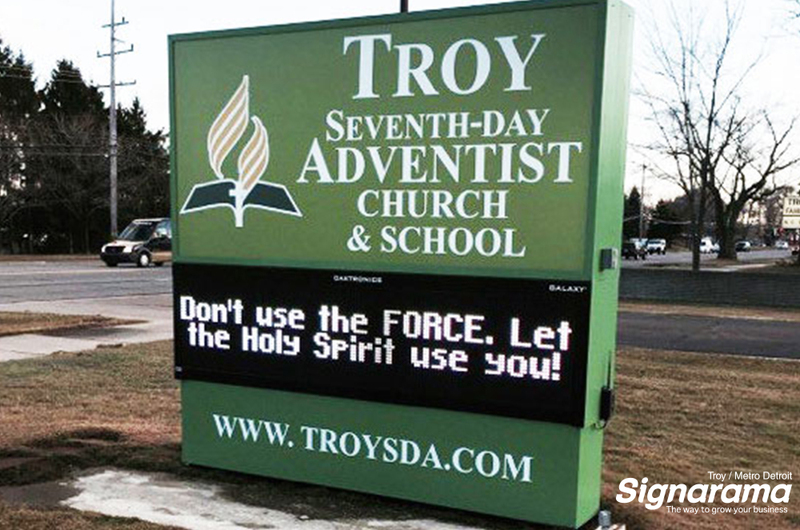 Signarama of Troy has installed LED message centers from all of the major manufacturers including Daktronic, Vantage LED Signs, ThinkSign LED Signs, Optec, Adaptive Displays, & Hyperion LED Signs. Electronic message centers allow an unlimited number of messages with variable controls. All these features are easily controlled with a computer. The result is a lower labor cost to have your message changed, & the elimination of the physical liabilities often associated with copy changes on traditional reader signs. LED signs allow you to communicate your most important messages in a unique way that will stand out in a crowd! Create custom slides that are branded to your company. An investment in your business for an LED sign will provide the best & most cost-effective form of paid advertising. This type of advertising can even be more powerful than word of mouth! Message centers will act as your "salesman on the street" to attract new customers to your business. Although LED message centers do require a greater initial investment, they offer many different types of advantages to best serve your business. If the investment is a concern, reach out to our team of experts here at Signarama of Troy to discuss our financing options!